we care for will continue to receive adequate food and care? Perhaps you'd like to sponsor the initial costs of altering a new colony who is still out there, just waiting for our help? Or maybe one of our Critical Needs tugged at your heart? If you're one of the lucky ones who has not suffered financial loss, you may be thinking of how you can help others. Animal Loving Friends is primarily self-funded, which means that we pay for nearly all costs out of our own salaries, with very few donations. Most of the animals that we help literally come from the streets, homeless or abandoned, suffering in some way. We do whatever is needed to rehabilitate each one. Treatment costs can easily reach several hundred dollars for a single animal. We spend an average of $125 to get a healthy animal ready for adoption. Most of them are placed by our adoption partners, and we happily forfeit their adoption fees. An average colony of feral cats costs Animal Loving Friends $300 for initial spay/neuter, and $25 per month to provide food and shelter to that colony for the rest of its life. 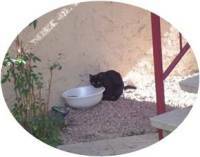 Approximately 120 homeless, community cats currently depend on our care and life-long feeding. 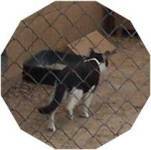 Without your donations, we are unable to reach out any further, yet we see more helpless animals suffering every day, trying to find food from a dumpster, water from a drip line or leaky faucet, and shade under a creosote bush. Our hearts break for them. Please help with whatever amount you can. Animal Loving Friends is an IRS-approved 501(c)(3) charity. The full amount of your donation is tax-deductible, as allowed by law. Rest assured that 100% of every dollar we receive goes directly to the animals and stays right here in our community. We have no paid staff, only a small group of volunteers, who give from their own pockets to care for these animals, without reward - except knowing that they're saving lives with every selfless act. You can reap those same rewards! Any amount you donate will help us to continue to care for the approximately 150 animals who currently depend on us for their survival. Send a Petco Gift Certificate! Purchase Items for ALF from Petsmart! Check out our Petsmart Wish List to help the Animals of ALF. Purchase as many items as you'd like, and they'll be shipped directly to ALF! Donate a Kuranda Cat Bed! 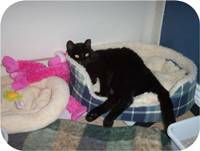 Our cats love to sleep on Kuranda Cat beds, but we don't have enough for everyone. please donate a Kuranda cat bed. or click the "Subscribe" button, and Paypal will automate your monthly donation to ALF. You may enter any amount (in US Dollars). ALF is not unlike adoption groups who strive to place cats in the best possible home for each. We do that too, but for feral cats, that's their outdoor colony. The difference is that our responsibility for the daily care of that animal doesn't stop when it's placed in its fur-ever home. We provide food and care for the community cats for their lifetime. SCF Arizona has approved Animal Loving Friends, Inc for corporate matching of employee donations! We hope that you'll consider making a recurring donation to help ALF reduce overpopulation of free-roaming community cats, through your Community Outreach & Charitable Giving matching donations program. Animal Loving Friends, Inc is now eligible to receive donations through the Boeing Employees Community Fund (ECF). We hope that you'll consider making a recurring donation to help ALF reduce overpopulation of free-roaming community cats, through your ECF Designated Giving payroll program. 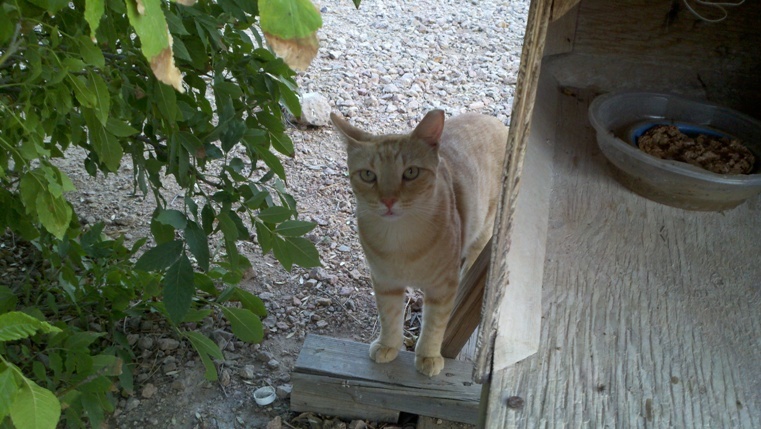 ALF cares for 15 colonies of spayed and neutered community cats. All are provided lifetime care. To keep them healthy, please sponsor a colony. Donate once, or enter an automatic monthly tax-deductible amount. Our food bill is large. Even $5/month will save two cats from starvation. Orange Crush is a healthy community cat with an ear canal tumor. He needs a $1,000 surgery to relieve his discomfort and recurring infections. 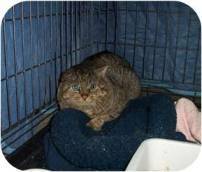 Willie the sweet FIV+ kitty who was starved for food AND affection, has peacefully crossed over the bridge. Donations will be accepted in his memory. Rest well, dear sweet Willie. 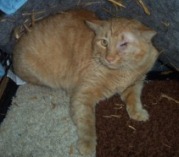 Pirate was found with a severe eye injury, requiring enucleation (the eye was removed), to save his life. His medical bill was $400. Will you help, so we can continue these life-saving rescues? Cassidy has a badly broken, deformed leg. She's no longer painful, and thankfully does not require surgery at this time. We need $1600 for her medical costs and $25 monthly sponsorship to the sanctuary who accepted her. Willow was likely hit by a car, and is unable to walk. 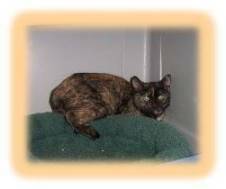 We need $2600 for the medical care she received before adoption. Any amount donated to the Willow Fund will help. and alter both feral moms and the dad. Please help us raise $2000 to recover those costs, and continue these types of rescue.